RICHTER ENTERPRISES specializes in material handling equipment, both for on-line and off-line needs, and process equipment for glass fabrication facilities. The applications range from automatic stackers, roller and belt conveyors and peripherals like edge trimming for float lines to vacuum lifters for fabricators. Because RICHTER ENTERPRISES has more than 25 years of experience in custom machinery for material handling in the architectural materials and tooling industry RICHTER ENTERPRISES helped its customers achieving their goals for efficient and reliable manufacturing. RICHTER applies highest standards to the safety of its machinery. RICHTER ENTERPRISES was approached by customers looking for machines automatically applying interleaving powder on the surface of glass before stacking. Richter developed a line of efficient and user friendly powder sprayers for the use on float and coating lines as well as after tempering and fabrication. 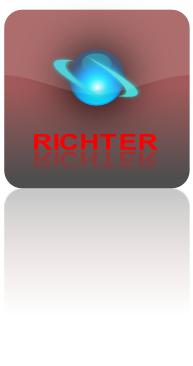 RICHTER ENTERPRISES provides after market service for the machines supplied. We stock spare parts and help with adaptation for our customer’s new product requirements. Some of our machines have been in service for decades and are routinely serviced or up-dated to meet new production requirements. RICHTER ENTERPRISES prides itself on quality workmanship, dedicated service, custom solutions, and a customer oriented workforce. We make layouts for cold-ends of float lines, coating and tempering operations and other fabrication lines. Our team designs, produces and implements equipment to customer’s specifications. Our Customer’s ability to produce glass or fabricate windows, doors, mirrors or tempered glass products depends on reliable and safe machinery and service. Richter Enterprises applies the highest standards to its designs to assure superior quality and a safe environment for the operators using the machinery.